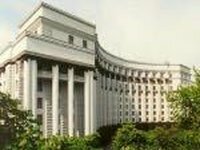 The government of Ukraine approved a draft law on the Cabinet of Ministers at a meeting on Monday, according to which the president appoints the premier. "The president of Ukraine has a certain Constitutional right to appoint the prime minister of Ukraine with the consent of the Verkhovna Rada. [The president] decides on the candidacy, which he submits for parliament's approval, and Ukraine appoints the premier if the parliament, through a constitutional majority, supports the candidacy [submitted] by the president," Justice Minster Oleksandr Lavrynovych has said at a press conference on Monday. "Then according to a motion by the premier, all members of the cabinet are appointed, as well as heads of central agencies of the executive branch," the minister said.